Two Chicago area music venues are hoping their quiet stages Friday night send a loud message to bands with anti-Semitic ties: that they are not welcome, after being duped into almost hosting one such band. Both Cobra Lounge, 225 N. Ashland Avenue in Chicago, and Wire, 6815 Roosevelt Road in Berwyn, cancelled their planned music Friday night after learning of allegations that Hellvetron, a black-metal band from Texas, had a history of anti-Semitic ties. Initially Hellvetron was scheduled to play Cobra Lounge along with three other bands, when the venue’s general manager Louie Mendicino was sent messages from friends like Chicago musician Laura Jane Grace, the front woman of Against Me! and former employee Billy Phelan, who lives in Colorado, telling him that the band had Nazi ties. “Once I heard that, I did an Internet search and it was not hard to see that they had ties that we don’t want any part of,” Mendicino said. He said he discovered that Hellvetron band members were also members of overtly racist bands on anti-Semitic labels and had played on a racist compilation. Mendicino said Cobra Lounge, which regularly features punk and heavy metal bands, has cancelled bands and tours before for similar reasons, but had never received any backlash until Friday, when the venue received several hateful messages from other bands and groups online that have SS imagery and Swastikas on their Facebook pages, something he blamed on the political climate of the country right now. Mendicino said the majority of responses were in support of his stance (as of Saturday morning the venue’s Facebook post had 2,600 likes and hundreds of comments and shares) and that he was thankful to those who alerted him about the band, adding that he does not have the resources to vet every band. “To personally vet every band that plays here would be a full-time job. These guys actually played at a bar in Philadelphia under a fake name recently, only to be discovered later,” Medicino said. That story was also reported in the August 2017 edition of Philly Magazine. Cobra Lounge security manager Philly Denigris said he was happy his employer cancelled the show and said bands like Hellvetron are a small segment of the black metal genre that venues have to be aware of. 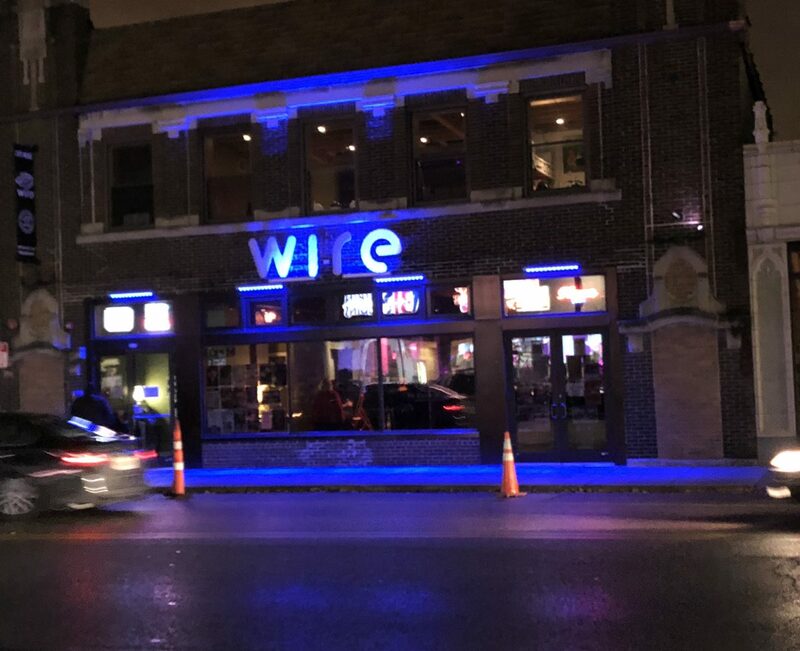 After being eighty-sixed from Cobra Lounge, the band’s promoter got them booked at Wire in nearby Berwyn, which hosts bands from all different genres. Neville echoed Mendicino, saying his venue’s decision had nothing to do with money and that while he may have lost money Friday night, he would welcome any additional business as a result of the community learning what he stands for. “When you lose a Friday, it’s tough. It would be nice to get a boost but that wasn’t the motivation,” Neville said. Neville said the band actually played his venue last year, fudging its way onto a bill the same way they duped a bar in Philadelphia. Christian Picciolini, a former skinhead leader who has been working for more than a decade to pull people out of hate groups and who once fronted his own white-power band, said bands like Hellvetron feel emboldened in the current political climate. After Wire cancelled their show, the promoter of Hellvetron reached out to a third venue — Brauerhouse in suburban Lombard, to see if they could get booked there. “I know of the promoter and worked with him in the past,” Brauerhouse owner Steven Brauer said. “I knew if Cobra cancelled the show there had to be a reason so I called them. We all know each other and none of us like these Nazi idiots,” Brauer said. Needless to say, Brauer refused to book the band. Wire also put up a Facebook post, similar to Cobra’s announcement, which also had several hundred likes as of Saturday morning. Additionally, people commenting on the posts of both venues urged others to begin a campaign urging people to let venues with Hellvetron on their schedules know about the allegations against the band. A Facebook page under the name Hellvetron received a message from a reporter asking for a response to the allegations of Nazism and anti-Semitism but did not respond and calls to the band’s promoter were not returned. At 10 p.m. Friday night, when Cobra Lounge would typically be packed and loud with deafening music, it was largely quiet but did have about 30 people who came in to support the venue’s stand. Juan Arreola, 41, of Chicago, said he frequents the venue but made sure he showed up on Friday to show his support. “There was a threat of racists showing up tonight so I wanted to be here. No one has shown up yet and I don’t really expect them, but the night is young. We are here because we want to show unity. We are not going to tolerate hate in Chicago. You deserve to get ostracized,” Arreola said.